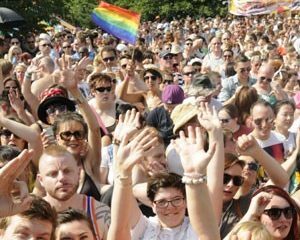 Bristol’s FREE festival, packed with entertainment showcasing & celebrating the achievements of people in recovery from problematic alcohol or drug use. Kicking off Recovery Month in September, the Recovery Festival returns to Bristol on 1st September 2017 for it’s fifth year! The community-ran festival returns to celebrate the achievements and showcase the talents of those in recovery from drugs and alcohol from across the South West. Whether you’re in recovery yourself, supporting a loved-one, looking to begin treatment or have recently started. The festival is open for everyone and is a great opportunity to join people in sharing strengths, hopes and achievements. This year we’re pleased to be hosting a variety of local musicians, bands, poets, artists and filmmakers. As well as a selection of great food and refreshments, alternative therapies and taster workshops.